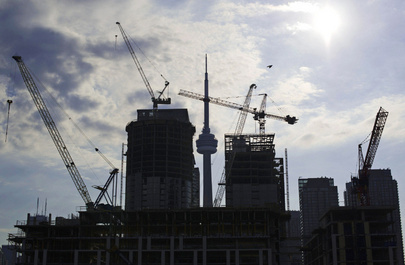 New home sales in the Greater Toronto Area are mirroring the heat wave blanketing the city. Sales were up by a sizzling 53 per cent in June, representing 4,681 units, compared with the same month a year earlier of 3,050, according to figures released by RealNet Canada Inc. Tuesday. Much of the increase was due to condominium sales, which have powered the new home market. Nearly two thirds of all sales in June were condos, up from the historical norm of about 40 per cent. The high level of sales has caused some economists to once again issue a warning about overbuilding in the market.